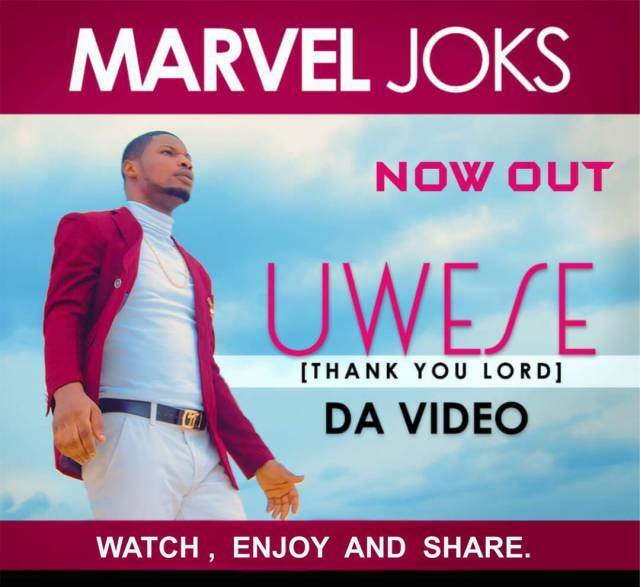 Dynamic gospel artiste and Worship minister Marvel Joks releases the visual of his single titled Uwese. Gratitude has been noted as one of the most Potent weapons for Breaking Forth. It is a definite tool to Appreciate for the past and Endorse for the future. In this new video, Sensational Voice in Gospel Music, Marvel Joks who is called to FILL THE EARTH WITH WORSHIP, leads us to the throne of God to appreciate Him for all He has done, doing, will do and yet to do. The video is the long awaited motion pictures for the Song UWESE which interprets as THANK YOU LORD, the Music Evangelist uses the Ancient Benin Dynasty to convey his message of Daily Appreciating God. The song once again reminds Us To Love God Beyond All Things, All Times And All Circumstances. Shot in Lagos – Nigeria by award winning DMS Pictures, the video has been themed as Simply Amazing with all the elements of Worship implemented in it plus a Marvellous rendition of Passion by the Arts involved. Marvel Joks dedicated the song to the Father of Pentecostalism in Africa, ArchBishop (Prof.) Benson A. Idahosa, who brought honour to the Gospel from Benin City to the World.